As a US citizen, you’d think returning to your own country should enable quick and easy access through immigration? Sadly, not. We’ve been in this situation ourselves, such as flying into Miami, where if you land behind a few incoming flights, the queue for the Global Entry kiosks can be hours long. Often you’re put in one big queue with everyone else including international travelers with an ESTA visa, all wanting to use the same devices. What if there was a way to glide past immigration without having to even use the Global Entry machines or queue for an immigration officer? There’s a little secret out there and it’s wrapped up in the Mobile Passport app, available for iOS and Android devices. Designed for US and Canadian citizens, download the app and it offers you queue-free immigration and 24 major US airports. Once you land at your destination, switch out of 'airplane mode' and launch the app. Enter the customs information (whether you have anything to declare) and submit the data. You’ll be given a QR code, which is effectively a customs ticket. Once you’ve deplaned, simply walk past all the immigration queues and head straight to the mobile scanning device at customs. Show your password, the officer will scan your QR code and you’ll be straight through and head to pick up your bags. As there are usually no queues at the customs desks (this is the area post-Global Entry, where you hand an officer your printed customs form and answer a few quick questions), it means you should be through immigration within minutes or leaving the plane, even for international travel. Now, if only they’d offer this functionality to returning ESTA travelers, who are logged in to the system, this would be ideal. And the reason we tongue-in-cheek ask you to keep this quiet? Well, if everyone downloads the app, then naturally queues will form at the customs line instead. People have to queue somewhere! 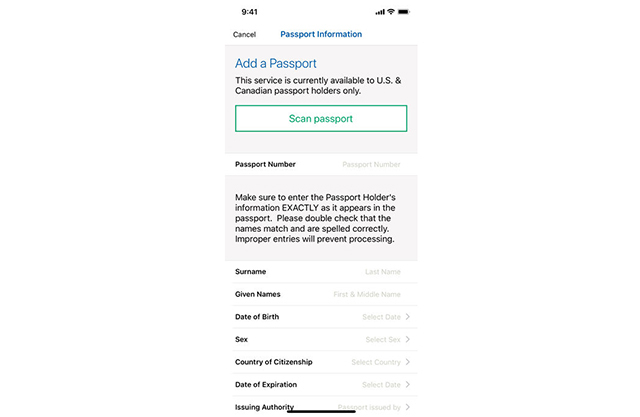 Download the Mobile Passport for iOS and Android devices.